When I joined H3G, known with the commercial name of 3, back in 2001 I remember that UMTS mobile phone did not even exist. We started looking at mobile device trends and one thing was quite evident: devices were getting smaller and smaller. Here’s and example of what I was using at the time. 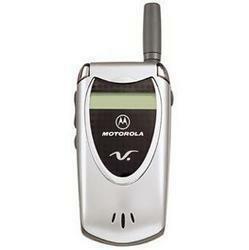 Motorola V60, great J2ME implementation for that time though. Other similar handsets I was play with were the Ericsson T28 and the Nokia 8310. Small size and light weight was the main driver in GSM devices evolution. Then we started to think what a UMTS mobile phone had to look alike and which services we were going to deliver to our clients. It was pretty much clear that the trend was going to be very different. Multimedia was going to drive devices to bigger screen sizes and, possible, touch displays. Year after year we saw screen size increase reaching what we see to day. You range from basic candy bar mobile phone with a 2.2″ inches display up to the 3.5″ iPhone display and to the new Acer Stream 3.7″ display. Touch and display size are playing a big role in the game today. A new trend is emerging: satellite display devices. The first example of this is the Sony Ericsson LiveView. It’s a very nice device. 1.3″ display size, Android based. The Sony Ericsson LiveView will connect to your mobile phone and will display caller ID, incoming SMS, facebook notifications, twitter update and so on. It’s definitely a satellite of your mobile display small chunks of relevant informations. What I like the most if that the device is programmable and you can install already baked applications from the Android market. Eventually Sony Ericsson will release an SDK to allow third parties to develop applications. Actually Sony Ericsson already did this kind of stuff in the past with a bluetooth wrist watch that was able to display phone notifications. It was not programmable at but it was the first step toward LiveView. Some other quite nice devices, not really converging to the mobile phone world are devices like the Texas Instrument eZ430 Chronos. It’s a programmable wristwatch that is equipped with short range communication features that will allow you connect the wristwatch with your personal computer. 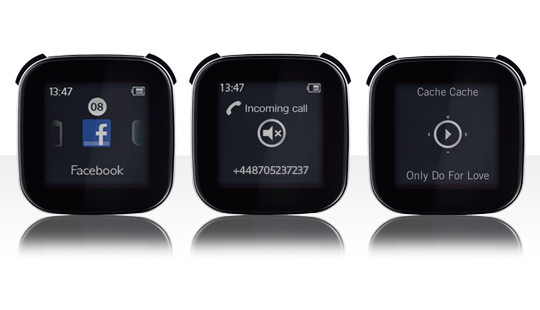 Another interesting device, fully programmable via an SDK, is the inPulse wrist watch. It first appeared couple with a BlackBerry device allowing the client to see notifications without picking up his phone. In this case connectivity is provided by BlueTooth. I definitely think these are interesting devices that may open up opportunities for new applications. Notifications, quick interaction with a background application running on the phone are just the beginning. There is a lot of space to build new stuff with these devices. Somehow I think this can be part of the future of mobile. Which one would you get and what for? Honestly I think that for the time being I would go with the Sony Ericsson LiveView, even if the inPulse is quite tempting. Are Mobile Phone Jacks Of All Trades?